I have been so fortunate to have spent the past 14 weeks training side by side with the remarkable group of cancer survivors that is Team Phoenix 2015. We were thrown together this spring by the common bond of a battle we did not choose. We started out with a degree of uncertainty, not knowing what to expect from Team Phoenix. Somehow, they believe that they could transform us into triathletes, even after the hardships our bodies had faced due to surgery, chemotherapy and radiation. As time went on, and we grew stronger, it was clear that Team Phoenix was changing our lives. We were in charge of our next battle. We were going to take control of our healing. We were going to swim, bike and run across that finish line. The support and encouragement is unlike anything I have experience before in my life. The dedication of the coaches, sponsors, medical staff, and volunteers is amazing. I have learned so much. I have pushed beyond fears and perceived limitations. I have become strong, proud, alive and re-defined!!! 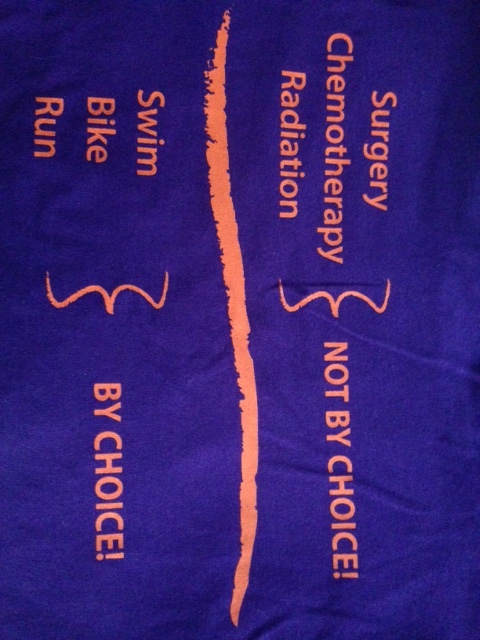 Sunday, August 9th, our group of 47 women will swim 1/2 mile, bike 12 miles, and run 3 miles in one big victory lap. We are in charge of our health! Please consider making a donation to Team Phoenix so that many more women can take control and experience cancer survivorship re-defined! Come cheer us on at the Pleasant Prairie RecPlex, August 9th at 7am. Wear purple! !